If you are like most people, all or most of your property will be exempt from creditors. If so, Chapter 7 Bankruptcy is generally a simpler, less expensive, and without losing any of your property. Eliminate the legal obligation to pay most or all of your debts (this is known as “discharge” of debts). Stop foreclosure on your house, townhome, condominium, or mobile home and allow you an opportunity to catch up on missed payments over a longer period of time. Prevent repossession of a car or other property, and in some instances force the creditor to return property even after it has been repossessed. Stop debt collection calls, letters, and other creditor harassment. Allow you to continue occupying a rented town home or apartment for additional time. Chapter 7 Bankruptcy is an orderly, court-supervised procedure by which a designated official known as a “Trustee” collects all of the person’s non-exempt property, reduces it to cash, and distributes it to creditors as required by law. The key point here is that only “non-exempt property” is collected and sold to pay off creditors. Only rarely will there be non-exempt property in a Chapter 7 case. As such, most people keep all of their property! 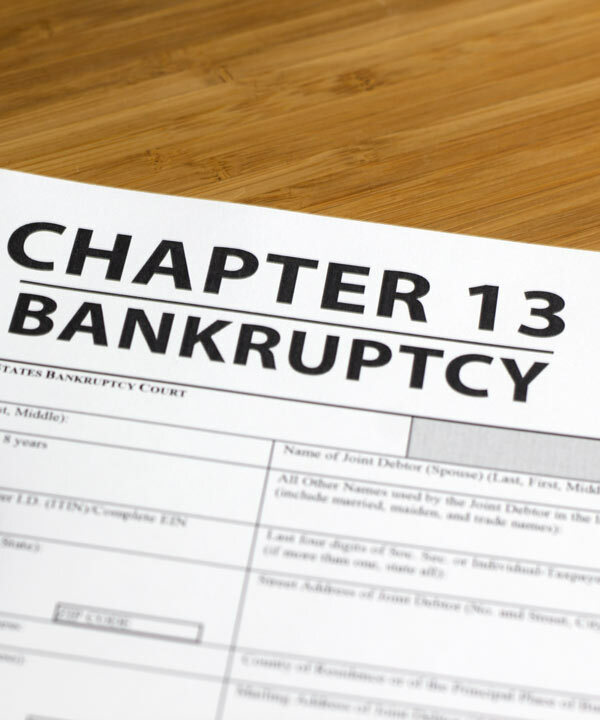 People who file Chapter 7 Bankruptcy typically receive discharge within just a few months of filing for bankruptcy. At that time, the person is released from any further obligation to pay all dischargeable debts. Amazingly, it is not unusual for people to eliminate literally tens of thousands of dollars or more in medical debt, credit card debt, payday loans, court judgments, debt from a failed business, personal guarantees, even certain federal income taxes over 3 years old, etc. Important in a Chapter 7 Bankruptcy is that you will need to be current on and continue making required payments on any loan you used to purchase your home or vehicle or the like (secured loans). If not, the creditor may be able to take back the property unless you instead file a Chapter 13 Bankruptcy and repay the delinquent amounts over time. Chapter 12 (intended for family farmers and fishermen).